Opal Brooch with three flashy doublet opals set with anti tarnish sterling silver. 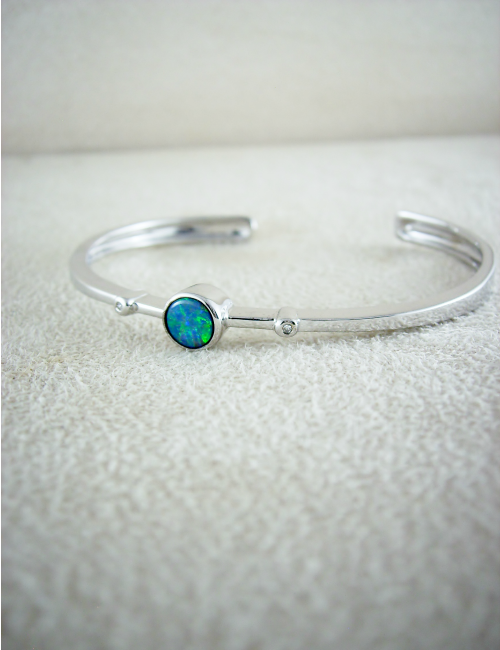 The three freeform opals are very bright green & blue colours with a rolling flash of orange across the three opals on movement. The brooch measures 47mm in length with the opals measuring (from left) 13mm x 7mm, 19mm x 5mm, 11mm x 5mm.